Allow the aroma of our soothing Breathe-eez blend to start you on the road to relief from sinus, head, and chest congestion. It’s amazing properties may even ward off sinus infection. You aren’t your best self when you can’t breathe freely. Our specially formulated Breathe-eez essential oil blend is designed to promote upper respiratory health. Our master blender Deb Stoltzfus even won over her skeptical husband after he put Breathe-eez to the test! The blend of oils is thought to have antiviral, antibacterial, decongestant, mucolytic (capable of reducing the viscosity of mucus), and expectorant properties—all of which aid your good health. Rosmarinus officinalis ct. camphor/1,8 cineole (Rosemary) Oil, Rosmarinus officinalis ct. verbenone (Rosemary) Oil, Eucalyptus dives (Eucalyptus Dives) Oil, Eucalyptus globulus (Eucalyptus Globulus) Oil, Laurus nobilis (Laurel Leaf) Oil, Mentha x piperita (Peppermint) Oil & Citrus sinensis (Orange) Oil. The essential oil of rosemary stimulates and strengthens your mind, clears the thoughts, energizes and uplifts, and encourages clarity. An added benefit of diffusing rosemary is that it will kill airborne viruses. This blend includes two varieties of rosemary for greater fighting strength. Eucalyptus dives essential oil is known to help with respiratory issues like thick mucus and congestion. Its light, almost-peppermint aroma encourages you to breathe in its healing power, promoting oxygen uptake. Eucalyptus globulus, the most common eucalyptus oil, is a powerful support when you’re dealing with respiratory and sinus problems, including colds. Studies have shown it kills bacteria, which may help you stay healthier from the start. Laurel leaf, also known as bay laurel, is often recommended to relieve swollen lymph glands and to bolster your immune system. It also has antiseptic and antiviral properties that fight germs—just what you need when sickness strikes. The essential oil of peppermint is known to help people become “clear-headed” and so is beneficial when you can’t concentrate or have mental fatigue. Peppermint oil prevents congestion of the blood supply to the brain and helps to clear up any circulatory condition that exists. By stimulating circulation, it strengthens and calms the nerves. An added benefit of diffusing peppermint is that it’s antifungal and antibacterial and is beneficial for sinus congestion, infection, or inflammation. The refreshing and cheerful nature of sweet orange essential oil gives warmth and joy to all who are around it, both adults and children. It’s a powerful oil for reducing self-doubt and fears of the unknown, so you are open to taking on new challenges.Orange also normalizes the intestines, so it can be good for diarrhea, constipation, and other digestive issues. Inhaler – Add 10-15 drops of Breathe-eez undiluted blended oil to blank inhaler. Diffuser – I recommend diffusing 15 minutes during every 2 hour period. Topical Application & Massage – 5 to 6 drops of Breathe-eez to 1 ounce of any kind of vegetable oil. Massage to upper back, chest and neck areas. These blended single note oils are highly concentrated—you will get many applications from just one bottle! Our master blender Deb Stoltzfus crafts all of our blends using only pure essential oils (with no base carrier oil). Each product contains various single notes mixed together, with each oil working in synergy with the others to create a powerful blend. Inshanti oil blends can be diffused in the air to help with emotional issues, such as depression, stress, anxiety, mental fatigue, lethargy, and lack of motivation, and for medicinal issues such as congestion, colds, and the elimination of airborne viruses and germs. These oils are “neat,” meaning not blended with any carrier oil, so they are potent undiluted oils. 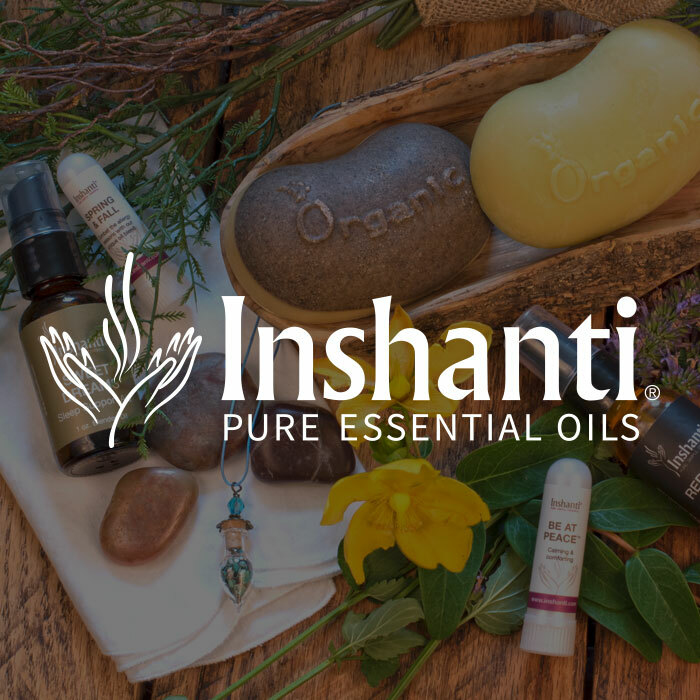 Inshanti’s range of antiviral essential oils and blends are a smart and safe way to care for your family’s health, including babies and children. They contain powerful anti-infectious properties, relieve pain, strengthen your immune system, and can reduce anxiety and stress. These oils contain many life-enhancing benefits. Time and again, Deb Stoltzfus has experienced and heard testimony of the amazing benefits of these protecting and healing essential oils. They can be used for colds, flu, respiratory infections, etc. There are antiviral essential oils and blends that target herpes, Epstein Barr, bronchitis, pneumonia, ear infections, and more. It is almost impossible to avoid being exposed to infectious disease. Work, school, or just going to the grocery store exposes you and your family to infectious microbes. Unfortunately, it is too easy to bring these pathogens home. That is why it is important to keep your family’s immune system as strong as possible. The good news is that the antiviral essential oils kill viruses and strengthen all of your body’s defenses, including your immune and respiratory system. For aromatic or topical use (when diluted). Diffuse for short periods of time in the work or home environment. We recommend diffusing 15 minutes during every 2-hour period. All Inshanti products are handcrafted in Lancaster, Pennsylvania. All Inshanti’s essential oils are carefully selected and GC/MS tested for purity! All Inshanti’s ingredients are Wild Crafted, Ethically Farmed, or Certified Organic! This product has not been evaluated by the FDA. These products are not intended to diagnose, treat, cure, or prevent disease. Support your respiratory system by diffusing khella essential oil, used the world over to treat asthma, bronchitis, emphysema, and spastic cough. Find relief by adding a tiny amount of the oil to boiling water and breathing in the steam. You’ll feel it go to work opening your airways. Don’t let seasonal scents—and the allergy symptoms they trigger—steal your joy. Soothe your symptoms with this fragrant essential oil blend. The ingredients combine to open up airways and calm inflammation, allowing you to enjoy whatever the season brings. Prevent ticks, black flies, fleas and mosquitoes from ravaging your outdoor fun. This powerful blend of nontoxic undiluted essential oils keeps annoying and dangerous pests away from your family and your dog, freeing you to enjoy life’s adventures. Clean your home without harming your health or the environment. Our Green Cleaning Spray Oil Blend contains the fragrant and powerful oils of lemon, balsam fir, peppermint, and tea tree. It will even disinfect the air when others in the house are sick. Find your focus at the office or as you study with Inshanti’s Focus blend. It’s a great way to combat fatigue and sharpen your senses so you can dive into the work at hand with clarity of thought and a refreshed spirit. Combat germs (and insects!) in hotel rooms and bathrooms and even on linens. Add a few drops of our highly concentrated oil blend to an ounce of water in our Clean & Pure Spray Travel Bottle for an effective germ-fighting spray. Calm the bites, the rashes, and the sunburn with our soothing Clear and Cool Lotion. Filled with antihistamine properties that keep working, it tames the itch. Safe for children too! Pursue your purpose by releasing negative thinking and inhaling the uplifting scents of lemon myrtle and rosemary in this essential oil blend. Your enhanced positive mindset launches you into life, looking for all the amazing opportunities it affords. Stay grounded with this earthy essential oil blend that quiets your mind and restores your sense of balance. Absorb the strength of the trees, deeply rooted, yet able to bend so as not to break.